We hope that you find this site an informative one through which you can learn more about our school district as well as our community and the City of Kosciusko. Kosciusko is a dynamic and charming community centrally located in Mississippi with the famous Natchez Trail in its backyard. It is approximately 70 miles northeast of Jackson and accessible by both I-35 and I-12. The birthplace to Oprah Winfrey, the town has been the recipient of Winfrey’s considerable generosity with the funding of a new Boys and Girls Club facility. The citizens of Kosciusko, including the city’s businesses and community organizations, all play a significant role in supporting and mentoring our students. From our many charitable organizations that dedicate time to improving our community and our schools, to the support of parents and family members, much of our success comes from the commitment and hard work of our community. 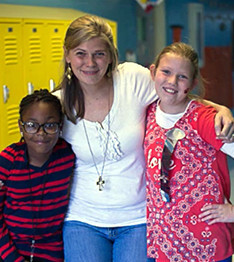 We encourage you to learn more about how you can contribute to lives of our students. With the support of the community, we provide our children unique opportunities to discover and grow in the classroom and beyond. Kosciusko is a city with a hometown atmosphere, where we take great pride in our history, natural beauty, excellent schools, safe neighborhoods, and strong business base. We invite you to come see what Kosciusko is all about.